The League championed educated, vigorous citizen engagement in government. National rules prohibited members supporting or opposing political parties or candidates. Instead, they investigated issues affecting government and citizens’ well-being, promoted informed political participation, and campaigned for the positions they reached after careful research. “I enjoyed people who were talking about issues and not recipes and baby formulas,” said Bozeman League member Dorothy Eck. She personified membership during the Montana League’s strongest years—largely urban, middle-class, homemaking wives of professors and businessmen eager to use their knowledge and skills in important causes. 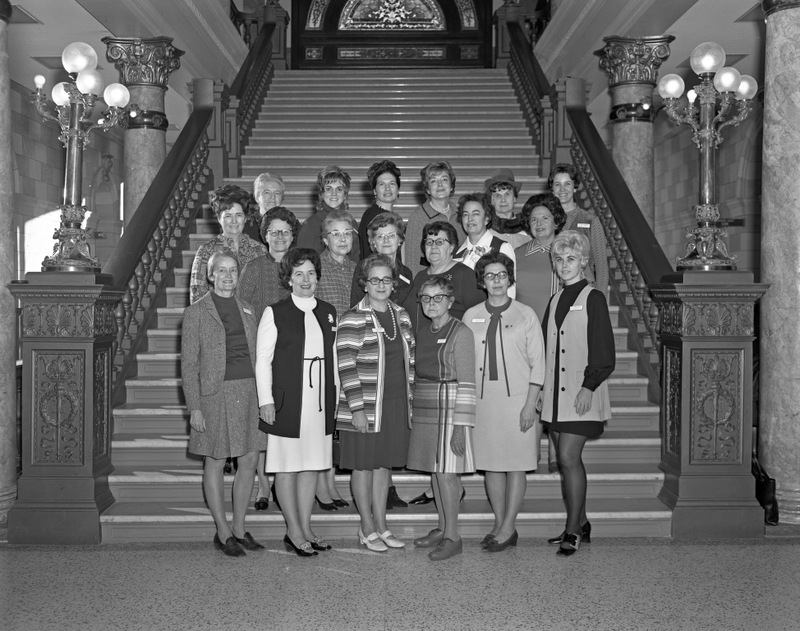 During that 1955-1980 period, women in the Flathead, the Bitterroot, Bozeman, Liberty County, and Lincoln County created new chapters. Statewide membership ranged from 325 to 450. League work focused first on public meeting participation and voter education. Members served as formal “observers” at planning, school board, and city and county commission meetings. They prepared and distributed pamphlets on state and local government organization and function. They orchestrated candidates’ forums, get-out-the-vote efforts, poll-watching and served as precinct reporters under contract to ABC News. 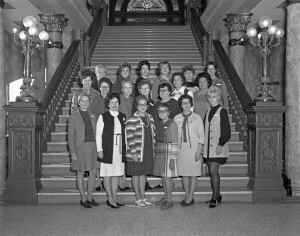 In 1967, League members Eck and Daphne Bugbee became full-time nonprofit citizen lobbyists at the Montana legislature, committed to communicating clearly and sidestepping party politics. 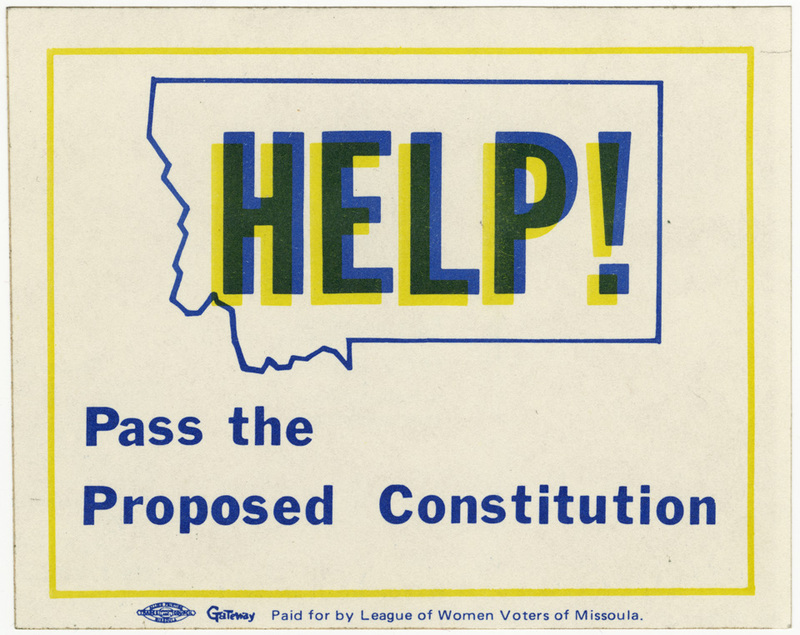 Two years later, the League put its nonpartisan lobbying success, statewide connections, and respected reputation to work supporting the call to revise Montana’s 1889 constitution—a dated, overly specific document crafted by mining interests to achieve statehood. The League identified constitutional reform as the most critical step toward more open, efficient, and democratic state government as Montana emerged from corporate dominance. As the League hoped, the 1969 legislature approved a statewide constitutional convention referendum. 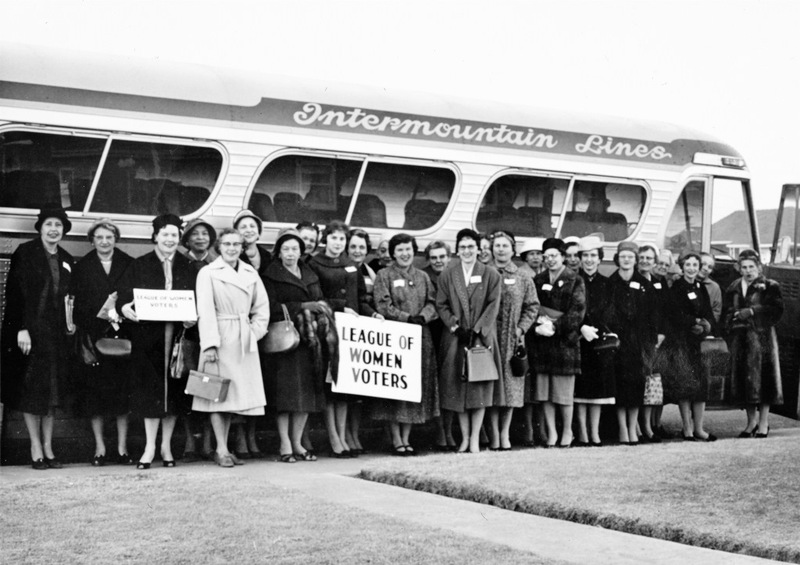 League members then created extensive constitutional studies and issue lists, and—cooperating with an array of other organizations—campaigned successfully for voter approval for a convention. Perhaps as important, the League’s emphasis on nonpartisanship and realistic, substantive change shaped the convention and its outcome. Midway through the sixty-day process, League President Anderson wrote to each of the hundred delegates, “[W]e urge you to keep your courage high and allow us to vote for a really improved Constitution. Do not be misled by the few loud voices which say, ‘Favor us, or we will not vote for your new Constitution.’” A dozen delegates wrote to thank Anderson. “I am hoping to retain my ideals and ‘dream the impossible dream,’ [to] . . . get a new constitution free from special interests,” responded Missoula delegate Mae Nan Robinson. 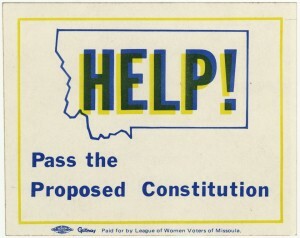 The Montana League then campaigned hard for adoption of the new constitution. Three months before the statewide vote, Anderson rallied local chapters: “We are counting on member participation and the knowledge you all should now have after three years of study. . . . If you are shaky bone up, the next two months will make all our previous efforts worthwhile ONLY IF IT PASSES.” It did. Montana’s League soon evolved. By 1974 men could join, although a state newsletter that year mused, “We have built something special in the League—and men, God bless ‘em, may not be ready for it. . . . They’re not used to submerging occupational prejudices and to concentrat[ing] on issues instead of political considerations.” Simultaneously, women moved steadily into the paid workforce—taking with them the time and skill they had invested in volunteer leadership. 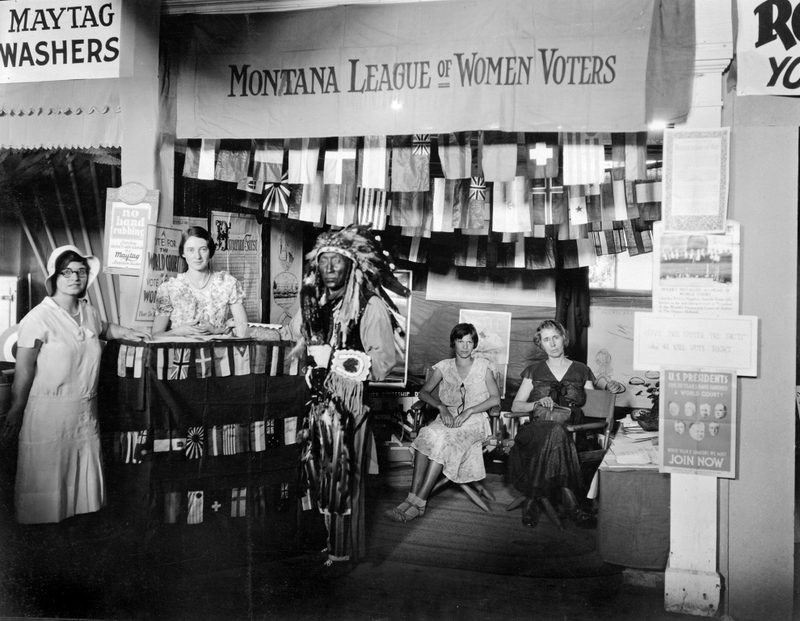 Read more about early Montana League members, including Jeannette Rankin, Maggie Smith Hathaway, Freda Beazley, Frieda Fligelman, and Belle Fligelman Winestine. Learn about the League’s role in the campaign to allow women to serve on juries here. Jean Bowman, a member of the League of Women Voters, discusses the road to the Constitutional Convention in this short video clip. Anderson, Jean. 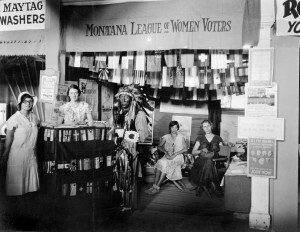 League of Women Voters of Montana Bozeman MT. March 1972 newsletter. Bates, Grace. Vertical file, Montana Historical Society Library, Helena. Chambers, Gus, and Paul Zalis, producers. “For This and Future Generations: Montana’s 1972 Constitutional Convention.” Missoula: KUFM-TV/MontanaPBS, 2004. Cook, Kathleen. “Facts on the Line; Payment on Progress.” Montana Standard, October 7, 1975. Eck, Dorothy. Interview by Jodie Foley, May 27, 1997. OH 1771 (untranscribed), Montana Historical Society Archives, Helena. _________. Papers, 1967-1997 UPMC 87 (unprocessed), Montana Historical Society Archives, Helena. ___________. Vertical files, Montana Historical Society Library, Helena. Kirk, Kelly. “State of Change: Gender and the 1972 MT Constitutional Convention.” Master’s thesis, Montana State University, Bozeman, 2011. 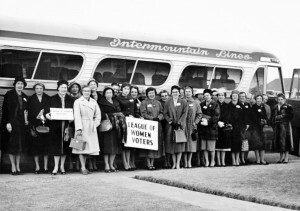 League of Women Voters of Montana. A Constitutional Convention for Montana. PAM 2917. Bozeman: Artcraft Printers, 1971. ___________. Records, 1921-1989, including collection overview. MC 180, Montana Historical Society Archives, Helena. ___________. http://lwvmt.org/. Accessed November 8, 2014. “Nine League Members Go to Con-Con.” The Montana Voter (League newsletter), December 1971. Reichert, Arlyne. Vertical files, Montana Historical Society Library, Helena. Schontzler, Gail. “Dorothy Eck: Champion for Women, Open Government.” Bozeman Chronicle. September 4, 2011. “Should Men Be Members?” The Montana Voter (League newsletter), March 1974.